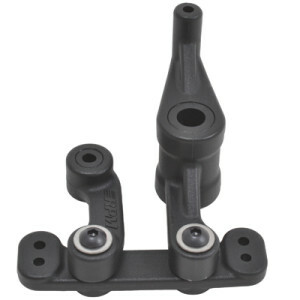 RPM has released a Servo-Saver Eliminator Bellcrank for the ECX Boost, 2wd Circuit, 2wd Ruckus or 2wd Torment. The new Bellcrank which is molded from their trademarked blend of engineering grade nylons, is designed to cut down on the wandering tendencies, the steering slop and the centering problems, that are bound to come up over time in a stock system. Get complete details at Servo-Saver Eliminator Bellcrank for the ECX Boost, 2wd Ruckus, 2wd Circuit & 2wd Torment. The ECX name is really making great progress in the RC world. I am starting to see them at the RC Park more and more. Quality aftermarket products are being released constantly and overall users seem very happy with whatever ECX model they get.